It may appear that I am on a macadamia binge since my last recipe (apple and macadamia upside-down pie) also showcased macadamia nuts. 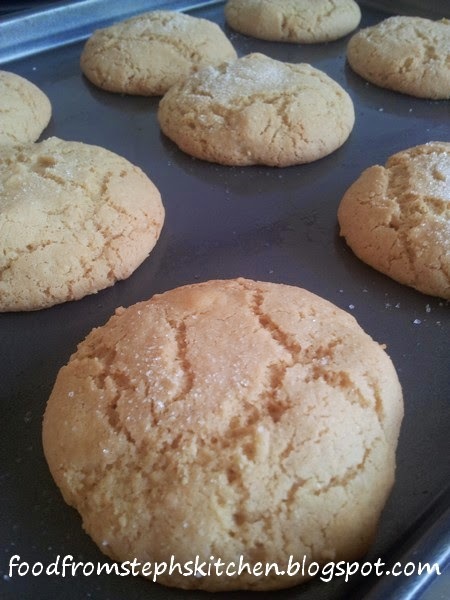 This cookie recipe is actually one that I have been making for many years now, and is a good old favourite that never disappoints. 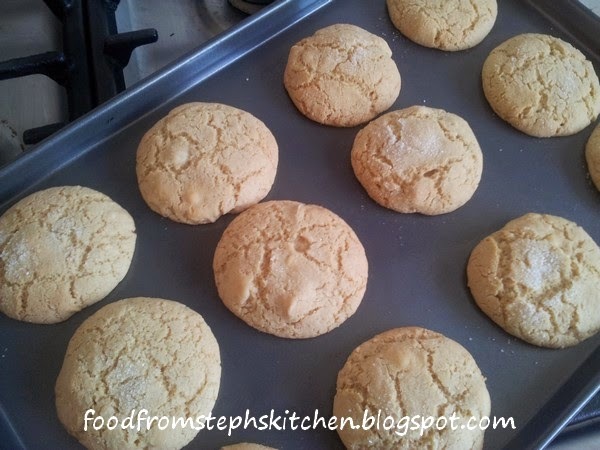 I first started making these cookies when I was in my early twenties. I was baking cookies as Christmas gifts and decided to adapt my Mum's choc-chip cookie recipe as I had been obsessed with the macadamia and white chocolate combination - buying them anytime I came across them at cafes or just out and about. The recipe is simple, using basic ingredients, and the dough is a great base for you to try your hand at any combination you desire. Before anything else, pre-heat your oven to 180 C or 350 F.
For this first part, you can use electric beaters but I usually use a wooden spoon. Cream the margarine and sugar in a large bowl until the sugar and butter is well combined. Add the egg, vanilla and salt, mixing until it creates a thick batter. Now for what makes these cookies so good: the macadamia nuts and chocolate. To smash the macadamia nuts, place them in a small zip-lock bag and use something with a little weight (like a can or mullet) to roughly smash the macadamia nuts. The pieces don't have to be even, simply broken up. If you'd like smaller chunks of nuts keep going until the pieces are the small you would like. I usually give them a little hit or two until the nuts are no longer whole. This way I get big and small pieces in the cookies, which I think makes them even better. Add the nuts and chocolate chips to your mixture and stir through. I think it's best to add a little bit of flour at a time so you can easily incorporate it into the mixture. 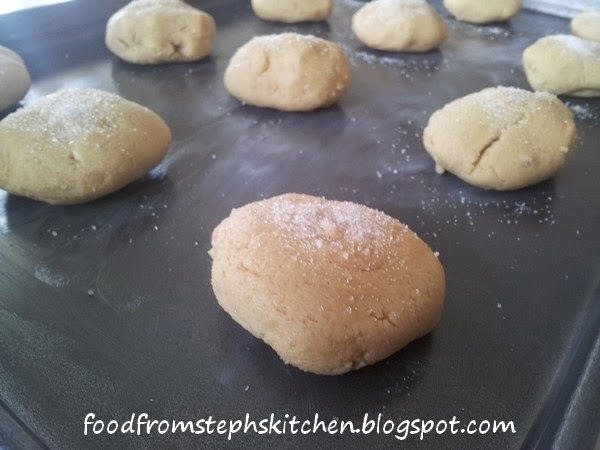 Using a 1/4 cup, add the flour a little at a time until you create a dough. Towards the end you may need to use your hands to mix in the remainder of the flour. You want the dough to be soft but not wet to the touch. If need be at a little more flour. Take small balls of the dough (about a table tennis ball in size or in Australia a 50 cent piece) and roll into a ball. 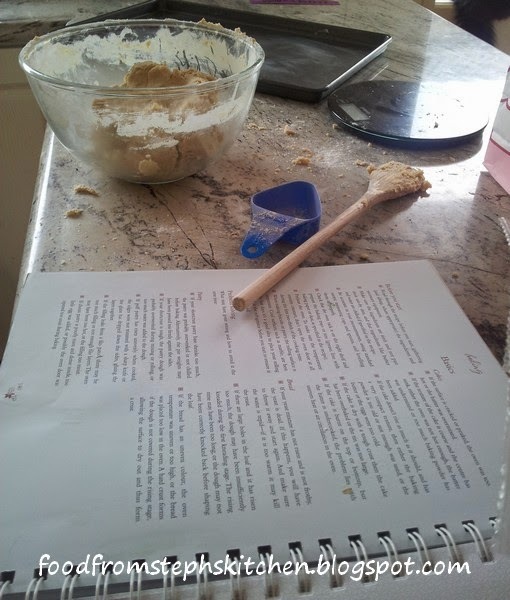 Flatten slightly in your hand before placing them on a large, greased baking tray (or tray lined with baking paper). Sprinkle each cookie with a little bit of white sugar before placing them in the oven. Bake the cookies in the oven for 10 - 15 mins until the edges of the cookies are golden in places. This way they stay a little soft inside. If you like them a little more crispy, cook for a couple more minutes until there's a little colour on top as well.